Some exciting new interior products from Leeds based surface designer, Anthony Hughes, crossed my path recently and I just wanted to share them with you. 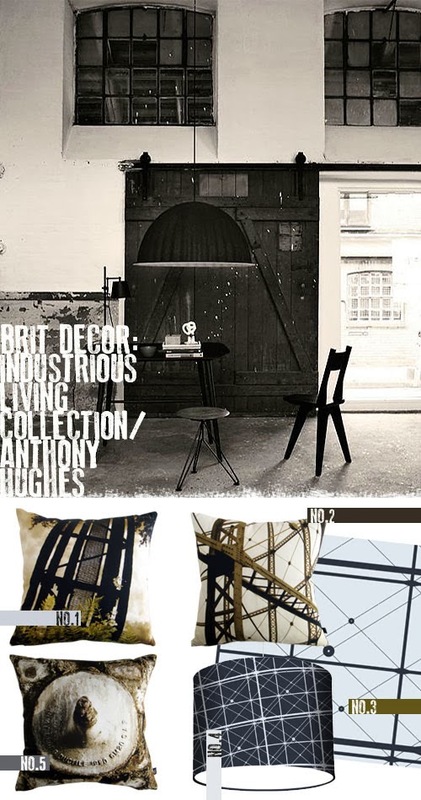 Anthony's debut collection is called Industrious Living and features digitally printed wallpapers, cushions, light shades and a small selection of greetings cards. I really love Anthony's graphic style and his designs are sure to make a statement wherever they are placed in the home. Above are just a few pieces from this collection and it's great to see another talented designer flying the flag for British design!